Laurie Lynd is a DGC and Genie award winning writer/director whose film work has been screened at dozens of international film festivals, including SUNDANCE, TIFF and MOMA's New Directors/New Films; his television work has aired on BBC, Sky TV, Logo, Showtime, Disney Channel, Nickelodeon, CBC, CTV, CITY, A&E, Discovery and many other networks. Laurie Lynd is a film and television writer/director based in Toronto. 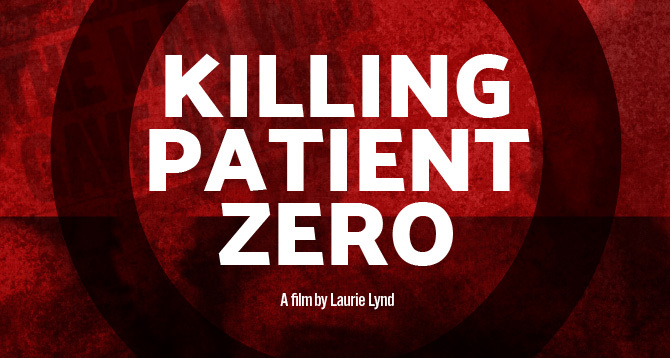 Killing Patient Zero, Lynd’s first feature documentary, was a Special Presentation at the 2019 Hot Docs Film Festival. Through interviews with Fran Lebowitz, John Greyson, B. Ruby Rich and others, Killing Patient Zero exposes the homophobia behind the AIDS headlines and clears an innocent man’s name: Gaétan Dugas, aka "Patient Zero." Lynd's second feature Breakfast With Scot starring Tom Cavanagh and Ben Shenkman premiered at TIFF and in the US at The Museum of Modern Art (MOMA), and has won Audience Favourite Awards at dozens of film festivals. Scot won the 2008 DGC award for Best Family Feature. House, Lynd's first feature, starred Daniel MacIvor; Lynd also directed the musical shorts The Fairy Who Didn't Want To Be A Fairy Anymore (Genie winner for Best Dramatic Short) and RSVP, which features a vocal performance by Jessye Norman, and was named one of 9 iconic queer Canadian films by the CFC in 2018. All three films were selected for both TIFF and SUNDANCE. Lynd's recent television work includes directing 6 eps of Schitt's Creek Season 5. Previous television directing includes the BBC mini-series I Was A Rat, starring Tom Conti and Academy Award Winner Brenda Fricker; For Love & Honor (Hallmark); Dear Viola (UP TV); Open Heart starring Megan Follows; Virtual Mom starring Debbie Reynolds and Sheila McCarthy, as well as multiple episodes of Hallmark's Good Witch; Shaftesbury's Murdoch Mysteries; Fresh TV's My Babysitter's a Vampire; Breakthrough's The Adventures of Napkin Man; MTV/Logo's Noah's Arc; CTV's Degrassi: The Next Generation and Showtime's Queer As Folk. 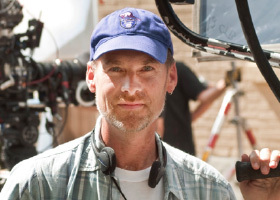 Lynd also produced John Greyson’s award-wining short, The Making of ‘Monsters’ which was given an anniversary screening in Berlin in 2019.